In the ALTITUDE - BUFFET we offer varied themed buffets on a daily basis. Savour Austrian specialities or enjoy a Gala Evening. You pay a fixed price and can help yourself from the buffet as you wish. You are also welcome to come for breakfast! So that we can can offer you our very best service, please reserve in advance. Choose your favourite buffet and reserve a table at the ALTITUDE - BUFFET now. We are also happy to take telephone bookings on our reservations number: +43 (6541) 7331. We look forward to welcoming you to the ALTITUDE – BUFFET! You pay a one set price that includes starters, soups, main courses prepared in front of you and desserts. 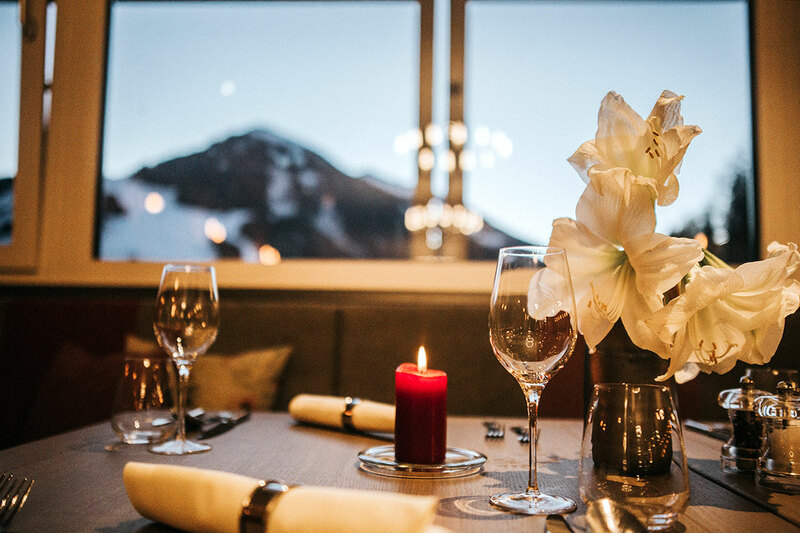 Visit the ALTITUDE – BUFFET and enjoy the tempting delicacies you'll find in our starters, soups, main courses prepared in front of you, and particularly our desserts. Then book your table at one of our 2 restaurants.